We are one of the leading manufacturers, supplier, stockist, dealer and exporter of Wire cloth in Mumbai, India. The wire cloth we manufactures can be of material based or Type base i.e Aluminum wirecloth, Brass wirecloth, Bronze wirecloth, Copper wirecloth, Galvanized wirecloth, Monel 400 wire cloth, Steel wirecloth, Stainless Steel Welded wirecloth, Stainless Steel wirecloth, 304 Stainless Steel Wirecloth, 304 L Stainless Steel Wirecloth, 309 Stainless Steel wirecloth, 310 Stainless Steel wirecloth, 314 Stainless Steel Wirecloth, 316 Stainless Steel Wirecloth, 316 L Stainless Steel Wirecloth, Hastelloy wirecloth, Inconel wirecloth,Molybdenum Wirecloth, Nichrome A wirecloth, Titanium wirecloth, Tungsten wirecloth, Mild Steel wirecloth, Iron wirecloth, Incoloy wirecloth, Silver wireclothand Nickel wirecloth,Dutch Weave Wirecloth, Twill Dutch Weave wirecloth, Reverse Dutch Weave Wirecloth,Woven wirecloth, Epoxy Coated wirecloth, Crimped wire netting, Welded wirecloth, Knitted Wirecloth, Hexagonal wirecloth, Rectangular wirecloth, Vibrating Screen Wirecloth, Chicken Wirecloth, Filter Packs Wirecloth, Fine wirecloth, Concrete Wirecloth. Indo German is the leading manufacturer of Stainless Steel Wire Cloth. The offered cloth is highly appreciated among clients for its high quality and compact design. Apart from this, our cloth is offered in different specifications and can be customized, as per precise needs of our clients. We deliver the entire product range in well defined time frame thereby rendering utmost client satisfaction. We are one of the well-known manufacturer, distributor and trader of Wire Cloth. The offered wire cloth is very strongly constructed, for usage as a sand filter and stone filter, at construction sites. Our manufactured wire cloth is made from superior grade raw materials, sourced from very reliable vendors in the international market. 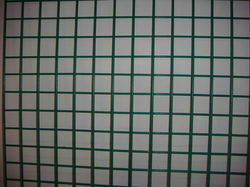 The offered wire cloth is available at very affordable and economic market rates. 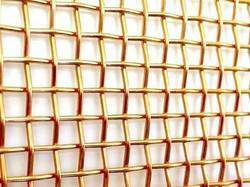 We are one of the leading manufacturer and supplier of Copper wire mesh or Wire Cloth.We obligated to meet the quality standards as per the customer demand. 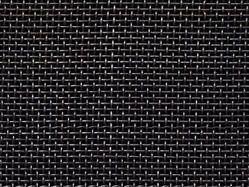 Brand Indo German Wire Screen Co.
We are engaged in offering our clients with a qualitative range of Rectangular Wire Cloth. These rectangular wire clothes have weaves with exact ultra fine openings and are available in 15 microns. Our range comprises a sturdy body and is used for filtering, shifting and grading of chemicals, sugar gardens, powers, minerals and graders. Moreover, we also offer these in varied specifications to meet the requirements of our clients. We are one of the leading manufacturer and supplier of Spring steel wire cloth.We obligated to meet the quality standards as per the customer demand. 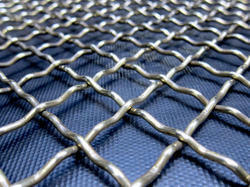 We offer an exclusive range of Chicken Wire Cloth at unmatched quality and market leading prices. 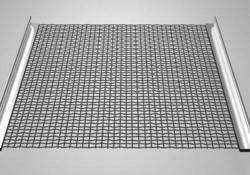 This Chicken Wire Cloth is designed precisely to make sure that they comply with the industrial specifications. Our clients can avail this product in different grades and dimensions that suit best with their demands and requirements. Our range of products is widely accepted to meet the varied industrial requirements in different fields. We are known to offer an attractive and affordable range of Woven Wire Cloth. Known for their premium quality and high craftsmanship, the products are designed according to the latest preferences. All the products are quality tested to ensure we offer defect free range to our patrons. The Woven Wire Cloth is developed under the supervision of expert professionals and hence matches the customers' diverse preferences. We are one of the leading manufacturer and supplier of Crimped wire cloth. We obligated to meet the quality standards as per the industry norms. Owing to the rich industrial experience and expertise in this domain, we are engaged in providing the quality assured a range of Copper Wire Cloth. 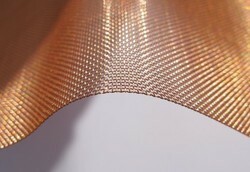 This Copper Wire Cloth is highly appreciated amongst customers for its superior finishing and excellent quality. Our product range is checked under various set norms of the industry. Our offered range of products is rigid in construction and can be obtained at industry leading prices. With marvelous specialization in this domain, we offer a qualitative range of Knitted Wire Cloth. The knitted wire Clothes manufactured by us are in a cylindrical shape package made to fit snugly into the interior of distillation columns. They are extensively used in laboratories, pilot plants and also for commercial purposes. It is widely used in pharmaceutical industry, food industry, mining and chemical industries. 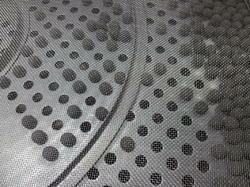 We offer our clients with a qualitative range of Vibrating Screen Wire Cloth. 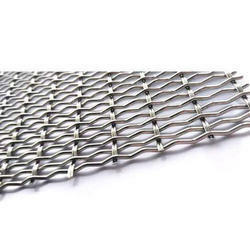 These are heavy duty wire cloth screens and manufactured using premium grades of spring steel, mild steel, and stainless steel. Our range is specially manufactured for extremely rugged operating conditions in scalping, sizing or processing heavy abrasive materials such as ores, crushed stones, sand, gravel, metallic and nonmetallic minerals, and coal slag. These are accurately woven from different cloth size and diameter as per the client's requirements. We offer our clients with a qualitative range of Stainless Steel Knitted Wire Cloth. These are made from the crimped cloth of woven wire filaments, wherein every strand is a bunch of a large number of thin filaments. Our range is cylindrical in shape and is made in sizes, which snugly fits the interior of a distillation column. These are extensively used in laboratories, pilot plants and commercial installations for distillation, gas absorption and liquid extraction. We are one of the leading manufacturers, supplier, exporters and stockist of Twill Dutch Weave Wire Cloth in Mumbai, India. Twill Dutch weave wire cloth is the combination of Dutch twill weave wire cloth. The weft wires passes alternately over and under two warp wire forming a finer cloth in the warp direction and the warp wires forms a coarser cloth in the warp direction in the same weaving. Twill dutch weave wire cloth is superior to the twill weave wire cloth because of the finer openings. It can support greater loads than the Dutch weave wire cloth. Can be used for filtering ultra-fine products. We are one of the leading manufacturer and supplier of Black wire cloth.We obligated to meet the quality standards as per the customer demand. We are one of the leading manufacturer and supplier of woven wire cloth.We obligated to meet the quality standards as per the customer demand. We are one of the leading manufacturer and supplier of Square wire Cloth.We obligated to meet the quality standards as per the customer demand. We are one of the leading manufacturers, supplier, exporters and stockist of Dutch Weave Wire Cloth in Mumbai, India. 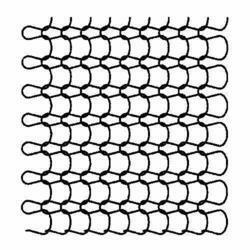 The Plain Dutch Weave Wire Cloth or Wire filter screen is woven the same way as the plain weave wire cloth. The exception of the plain dutch weave wire cloth is that the warp wires are heavier than the shute wires. Dutch Weave wire cloth is produced by the use of coarse cloth (woven wire cloth, wire cloth basket) in the warp and a fine cloth with relatively smaller wire in the fill. The shape and position of the openings aid particle retention and increase filter cake formation. 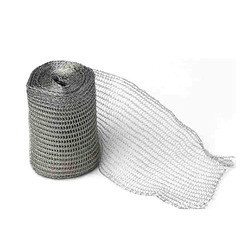 We are one of the leading manufacturer, supplier, stockist and exporter of Nickel Wire cloth in Mumbai, India. Nickel wire cloth is woven using high purity nickel wire. the nickel wire cloth is mostly preferred in corrosive environments such as filtration of liquids , gas , etc. The usage of nickel wire cloth is endless and has high stability and consistent filtration properties. It shows good resistance and stability in acids, alkalines and neutral salt solutions. It shows good resistance to dry gases at room temperature and at higher temperature upto 1022 f .
5. Nickel 270 wire clothIt the purest form of Nickel wire cloth High purity grade of nickel that is generally made by powder metallurgy.It has low hardness and high ductility as compared to other nickel alloys. We are one of the leading manufacturer and supplier of Monel wire cloth.We obligated to meet the quality standards as per the customer demand. 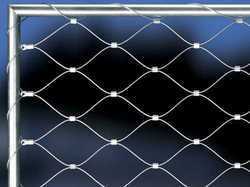 We are engaged in offering our clients with a qualitative range of Rectangular Wire Mesh. These rectangular wire meshes have weaves with exact ultra fine openings and are available in 15 microns. Our range comprises a sturdy body and is used for filtering, shifting and grading of chemicals, sugar gardens, powers, minerals and graders. Moreover, we also offer these in varied specifications to meet the requirements of our clients. Having creative expertise, we have been offering a range of durable Brass Wire Cloth. 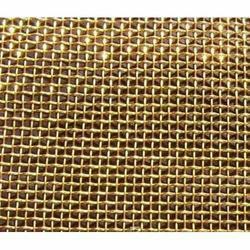 Our range of Brass Wire Cloth has supreme strength as they are quality tested in a different operation of the company. This product is widely used by a number of satisfied customers from diverse sectors. We acclaimed prominent position in this industry due to our excellent and superior quality product range. Our entire products ranges are based on latest technology and require less maintenance. Galvanizing can occur either before or after wire cloth is manufactured – both in woven form or welded form. Galvanized before woven wire cloth or galvanized before welded wire cloth indicates the individual wires, themselves, used to manufacture the cloth have been galvanized before the cloth is woven or welded. Depending on the cloth (or opening size) and diameter wire, this is usually the less expensive option, especially if custom manufacturing is required. 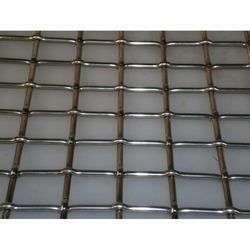 Galvanized after woven and galvanized after welded wire cloth is exactly as it sounds. The material is manufactured, normally in carbon or plain steel, and is often placed in a galvanizing tank, thereby producing a galvanized after woven or welded specification. Generally speaking, this option is more expensive, depending on availability and other variables, but does offer a higher level of corrosion resistance. This added level of corrosion resistance is most noticeable at the joint or intersection of galvanized after welded wire cloth specification. One of the main benefits of a galvanized wire cloth, and particularly of a galvanized welded specification, is that it tends to offer a wide variety of opening sizes and diameter wires. For instance, cloth opening sizes, such as 4" x 4", 2" x 2", 1" x 1" and ½" x ½", tend to be readily available from stock in a handful of popularly requested diameter wires. We are one of the leading manufacturer, supplier, stockist and exporter of Incoloy Wire Cloth in Mumbai, India. 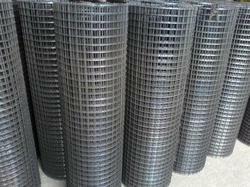 Incoloy wire mesh is a heat resistant alloy, which can resist heat easily. 1. INCOLOY 800 wire cloth[(UNS N08800) Ni 30-35%, Cr 19-23%, Fe 39.5% min]This nickel, iron, chromium alloy has good strength and excellent resistance to oxidation and carburization in high temperature atmospheres. It also resists corrosion in many aqueous environments. The low carbon content helps prevent sensitization and consequent inter granular corrosion of weld heat-affected zones. Used for flue-gas scrubbers and for handling phosphoric and sulphuric acids. 2. INCOLOY 800H & 800HT Wire Cloth[(UNS N08810 & UNS N08811)]The Incoloy 800H and 800HT nickel, iron, chromium alloys are the same basic alloys as Incoloy 800 but with significantly higher creep-rupture strength. This is achieved by close control of carbon, aluminium and titanium contents in conjunction with a high-temperature anneal. These alloys are used in chemical and petrochemical processing, in power plants, industrial furnaces and heat treating equipment. 3. INCOLOY 825 Wire Cloth [(UNS N08825) Ni 38-46%, Cr 19.5-23.5%, Fe 22% min, Mo 2.5-3.5%, Cu 1.5-3%]This is a nickel, iron, chromium alloy with additions of molybdenum and copper. It has excellent resistance to both reducing and oxidizing acids, to stress cracking, and to localize attack such as pitting and crevice corrosion. Incoloy 825 is especially resistant to sulphuric and phosphoric acids. Often used in chemical processing, pollution-control equipment, oil and gas well piping, nuclear processing, acid production and pickling equipment. Owing to the rich industrial experience and expertise in this domain, we are engaged in providing a quality assured range of Iron Wire Cloth. This Iron Wire Cloth is highly appreciated amongst customers for its superior finishing and excellent quality. Our product range is checked under various set norms of the industry. Our offered range of products is rigid in construction and can be obtained at industry leading prices. Mild steel wire Coth is a kind of Square Hole Coth woven of mild steel wire. It is also known as low carbon steel wire cloth or black cloth. Mild steel is excellent for the manufacture of industrial wire cloth due to its tensile strength and impact resistance. Mild Steel Welded Coth provides a cost effective solution to many requirements. It is available in galvanised or plain finish (self-colour) and is widely used in industrial and domestic applications. Black mild steel wire mesh is mainly processed in filter discs for filtration of rubber industry, plastic industry and grains. Material: Super quality low carbon steel wire. Low carbon steel wire Cloth can be punched into circular filter or welded multilayer cloth filter. It can be used in rubber industry, plastic industry, Oil industry and Cereal sifter. Wire cloth plain and twill weave are all in square opening, while Dutch weave in rectangular opening. An extremely versatile alloy, as a copper-nickel alloy, Monel 400 exhibits high strength and excellent corrosion resistance in a wide range of media, including sea water and in acidic and alkaline environments. Due to these characteristics, Monel 400 wire cloth specifications are often requested by naval shipyards and companies that specialize in marine technologies. In the wire cloth industry, Monel 400 wire is drawn to specific diameter wires and woven to certain specifications. Monel 400 woven wire cloth is commonly used in a wide range of applications including electrical and electronic components, water heaters and heat exchangers, processing equipment, the petroleum industry, marine fixtures, valves and pumps. Suitable for use across a wide range of temperatures and conditions aerospace, chemical and hydrocarbon processing equipment, as well as in valves, pumps, shafts, fittings and heat exchangers. With a few exceptions, non-industrial users rarely opt for Monel 400 wire cloth due to its high cost and similar appearance to stainless steel. We are one of the leading manufacturer and supplier of Phosphor bronze wire cloth.We obligated to meet the quality standards as per the customer demand. We are engaged in offering a wide range of Steel Wire Cloth to our valued customers. Steel Wire Cloth we offer is durable and robustly constructed that are widely acknowledged for their excellent functioning and user-friendly operation. Owing to the superior designing and high-grade manufacturing techniques our offered products ranges are massively applauded in the market. Our organization is committed for the time bound delivery of our assignments. We are one of the leading manufacturer, supplier, stockist and exporter of Titanium Wire mesh in Mumbai, India. Titanium wire cloth cloth is valued for its high strength, light weight and corrosion-resistant properties. It is used in a wide variety of industries; aerospace, medical and plating just to name a few. Commercially Pure (CP) Titanium Alloys are over 99% titanium. Titanium always has a protective oxide coating that prevents electrolytic reaction with other metals. Therefore using titanium wire cloth baskets can improve the process efficiency of anodizing aluminium components. Also titanium wire cloth baskets or racks will out last those made of aluminium, meaning less down time. Material grade: TA1, TA2 GR1, GR2, R50250. Weaving type: Plain Weave, Twill Weave and Dutch Weave. Wire diameter: 0.002" - 0.035". Mesh size: 4 mesh - 150 cloth. 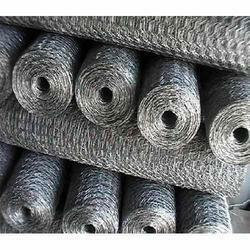 We are one of the leading manufacturer, supplier, stockist and exporter of Tungsten Wire Cloth in Mumbai, India. Tungsten wire cloth offers the highest furnace service temperature about 3000*C with suitable optical heat transfer performance for specific temperature uniformity. Large surface area decreases the watt density resulting in enhanced element service life. Mild wire tear will not affect the mesh service life in any case. 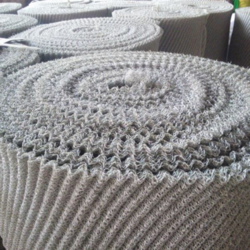 Tungsten wire cloth is produced in the specific sizes, shapes and styles to fit any type of vacuum furnace. The cloth element can perform at the minimum temperature in correspondence to the service temperature limit. As the thermal stress are unavoidable during heating operations in the high temperature furnaces, an inherent flexibility of tungsten wire cloth and weave designs, handle the stress more significantly. Tungsten metal cloth sustains dimensional stability during the frequent heat cycling. As the wire cloth has large radiating area, its surface life is considerably increased by decreasing the surface watt loading on the heating elements. We are one of the leading manufacturer and supplier of Coated wire cloth.We obligated to meet the quality standards as per the customer demand. We offer an exclusive range of Aluminium Wire Cloth at unmatched quality and market leading prices. Aluminium is largely considered the most popular non-ferrous metal in the world, and as such, aluminium alloys are commonly used in the wire cloth industry. Aluminium alloys are composed primarily of aluminium, and also contain other elements like copper, magnesium, manganese, or silicon. This Aluminium wire cloth is designed precisely to make sure that they comply with the industrial specifications. Our clients can avail this aluminium wire cloth in different grades and dimensions that suit best with their demands and requirements. Our range of products is widely accepted to meet the varied industrial requirements in different fields. 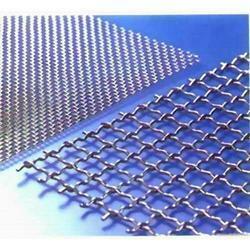 We are one of the leading manufacturer, supplier, stockist and exporter of Inconel Wire cloth in Mumbai, India. Weaving type: Plain weave and twill weave. Wire diameter: 0.0020" - 0.12". Mesh size: 4 mesh - 200 cloth. Offers resistance to stresses caused by corrosive acids. We are one of the leading manufacturer, supplier, stockist and exporter of Hastelloy Wire mesh in Mumbai, India. 1. Pulp and Paper industries2. Pollution control equipment 3. Chemical processing Industry. 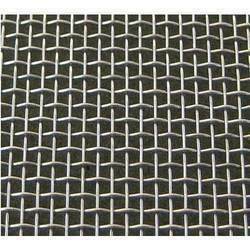 We are one of the leading manufacturers, supplier, exporters and stockist of Plain Weave Wire Cloth in Mumbai, India. Plain Weave Wire Cloth is the most commonly used weave. 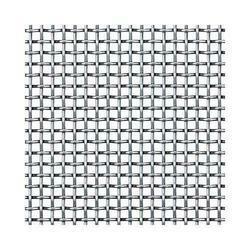 Plain Weave Wire Cloth has a square opening that's why it is also called as Square Wire Cloth. Each weft wire passes alternately over and under each warp wire and vice versa. Warp and weft wire diameters are generally the same. Plain weave wire clothes are available with apertures from 10.7mm (2 mesh) to 0.05mm (325 mesh). 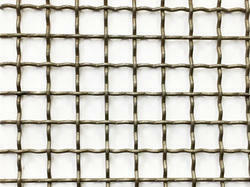 Plain Weave wire cloth could be Woven and Welded. Separation and classification of solid particles. We are one of the leading manufacturers, supplier, exporters and stockist of Reverse Dutch Weave Wire Cloth in Mumbai, India. Reverse Dutch weave wire cloth is another product specially designed for filtering. Reverse Dutch Weave is a very strong woven wire cloth. 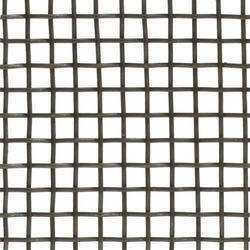 This mesh is made in a reverse twill dutch and sometimes referred to as PZ and KPZ Mesh. The same weave as Plain Dutch except the warp and shute wires are reversed; i.e., the warp wires have a smaller diameter than the shute wires. It can ensure the durable filtering performance during the usage. The reverse dutch weave wire cloth has chemical stability for filtering. Two sizes of wire diameter: finer wire in one direction and coarser wire in the other direction. The coarser wire in the weft direction and the finer wire in the warp direction. It is widely used as filter disc or other filtration products in petrochemical. We are one of the leading manufacturer and supplier of GI wire cloth.We obligated to meet the quality standards as per the customer demand. We are one of the leading manufacturer and supplier of Diamond wire cloth.We obligated to meet the quality standards as per the customer demand. Looking for Wire Cloth ?